Every time, when you run your internet browser the Search.flagbeg.com site that you do not remember installing as home page or search provider keeps annoying you? Search.flagbeg.com is a browser hijacker. It can end up on your MAC system in various ways. Most commonly is when you download and install another free program and forget to uncheck the box for the optional applications installation. Do not panic because we’ve got the solution. Here’s a instructions on how to delete intrusive Search.flagbeg.com redirect from any browsers, including the FF, Safari and Chrome. When you perform a search through Search.flagbeg.com, in addition to search results from Yahoo, Bing or Google Custom Search that provide links to web pages, news articles, images or videos you will also be shown tons of annoying advertisements. The devs behind Search.flagbeg.com doing this to generate advertising revenue from these advertisements. Some hijacker infections also contain adware (sometimes named ‘ad-supported’ software) which has the ability to show annoying advertisements or gather lots of user information which can be sold to third parties. These undesired ads can be shown in the form of pop-unders, pop-ups, in-text ads, video advertisements, text links or banners or even massive full page ads. Most of the adware is made to open ads, but some adware is form of spyware that often used to track users to collect a wide variety of your confidential data. We recommend you to delete Search.flagbeg.com search and free your Apple Mac of hijacker ASAP, until the presence of the browser hijacker has not led to even worse consequences. Use the tutorial below that will assist you to completely get rid of Search.flagbeg.com homepage, using only the built-in Windows features and a few of specialized free utilities. 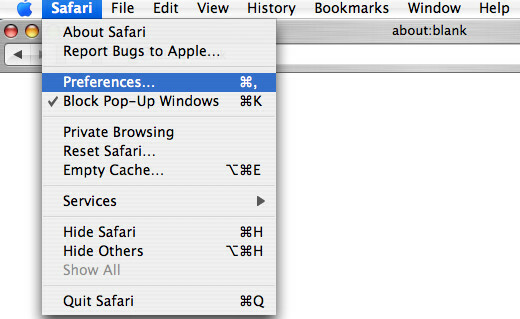 There are a simple manual guide below which will help you to remove Search.flagbeg.com from your Apple Mac. The most effective solution to remove this browser hijacker infection is to complete the manual removal steps and then run MalwareBytes Free automatic utility (it is free). The manual way will assist to weaken this browser hijacker infection and these malware removal tools will completely get rid of Search.flagbeg.com and return the Safari, Google Chrome and FF settings to default. The following instructions is a step-by-step guide, which will help you manually delete Search.flagbeg.com from the Mozilla Firefox, Safari and Chrome. Check out the Finder (Applications section) to see all installed applications. If you see any unknown and questionable programs, they are the ones you need to uninstall. It will show a list of all software installed on your machine. Scroll through the all list, and remove any suspicious and unknown programs. Right click to dubious program and select “Move to Trash”. Another method is drag the program from the Applications folder to the Trash. First, start the FF and click button. It will display the drop-down menu on the right-part of the browser. Further, click the Help button ( ) as shown on the image below. In the Help menu, select the “Troubleshooting Information” option. Another way to open the “Troubleshooting Information” screen – type “about:support” in the browser adress bar and press Enter. It will display the “Troubleshooting Information” page as displayed below. In the upper-right corner of this screen, click the “Refresh Firefox” button. It will open the confirmation dialog box. Further, click the “Refresh Firefox” button. The Firefox will begin a task to fix your problems that caused by the hijacker responsible for modifying your browser settings to Search.flagbeg.com. Once, it is finished, click the “Finish” button. 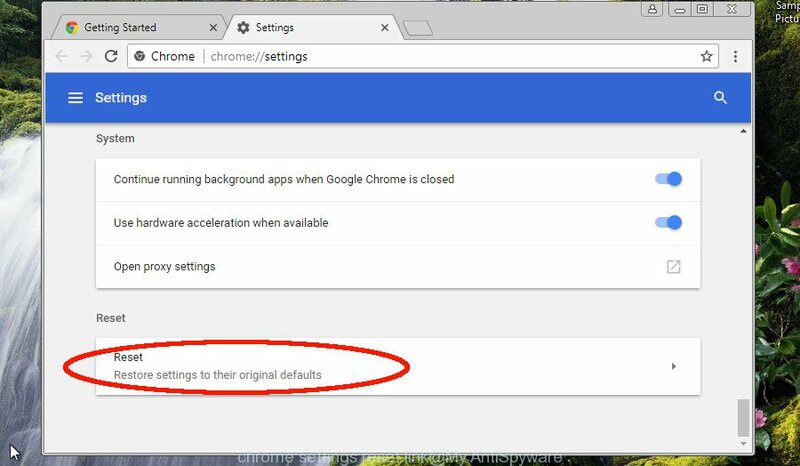 Use the Reset web browser utility of the Google Chrome to reset all its settings like search provider by default, start page and newtab to original defaults. This is a very useful tool to use, in the case of web-browser hijacks like Search.flagbeg.com. It will show the Chrome menu. Select More Tools, then click Extensions. Carefully browse through the list of installed extensions. If the list has the add-on signed with “Installed by enterprise policy” or “Installed by your administrator”, then complete the following guide: Remove Google Chrome extensions installed by enterprise policy. You need to confirm your action, press the “Reset” button. The internet browser will start the process of cleaning. Once it’s finished, the internet browser’s settings including new tab, start page and search provider by default back to the values that have been when the Google Chrome was first installed on your computer. The Safari reset is great if your browser is hijacked or you have unwanted extensions or toolbars on your internet browser, which installed by a malicious software. In order to completely remove Search.flagbeg.com, you not only need to delete it from the browsers, but also get rid of all its components in your computer including system folders entries. We suggest to download and run free removal tools to automatically clean your MAC of Search.flagbeg.com hijacker infection. 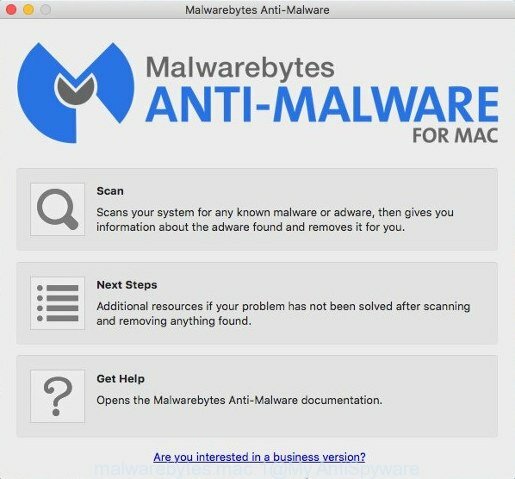 We recommend using the MalwareBytes that are completely clean your MAC of the hijacker. The free tool is an advanced malware removal program designed by (c) Malwarebytes lab. This application uses the world’s most popular antimalware technology. It is able to help you delete hijackers, PUPs, malicious software, ad supported software, toolbars, ransomware and other security threats from your MAC system for free. After downloading is finished, close all programs and windows on your MAC OS. Run the saved file. Follow the prompts. The MalwareBytes Anti Malware will automatically start and you can see its main screen as shown on the image below. Now click the “Scan” button to perform a system scan with this utility for the browser hijacker which cause a reroute to Search.flagbeg.com web site. This process can take quite a while, so please be patient. While the MalwareBytes Anti Malware program is checking, you can see how many objects it has identified as threat. When the scan is finished, MalwareBytes Anti Malware (MBAM) will show a scan report. Next, you need to click “Remove Selected Items” button. The MalwareBytes Anti-Malware (MBAM) will start to get rid of hijacker responsible for changing your web-browser settings to Search.flagbeg.com. Run an adblocker tool like AdGuard will protect you from malicious advertisements and content. Moreover, you can find that the AdGuard have an option to protect your privacy and block phishing and spam web-sites. Additionally, ad-blocker programs will help you to avoid annoying ads and unverified links that also a good way to stay safe online. When the setup is finished, click “Skip” to close the setup application and use the default settings, or press “Get Started” to see an quick tutorial which will assist you get to know AdGuard better. In most cases, the default settings are enough and you don’t need to change anything. Each time, when you launch your computer, AdGuard will run automatically and stop advertisements, web-sites such as Search.flagbeg.com, as well as other harmful or misleading web-pages. 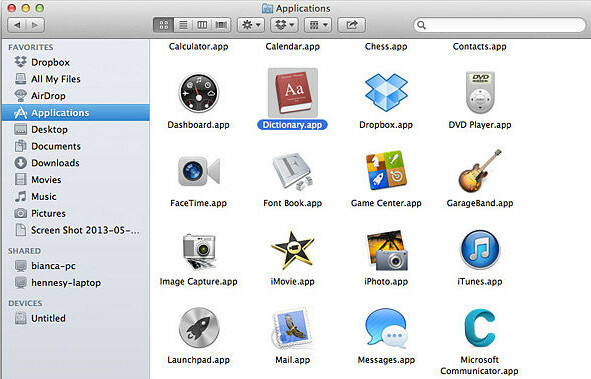 Many applications used to hijack the Apple Mac’s web browser. So, when you installing free programs, carefully read the disclaimers, select the Custom or Advanced setup mode to watch for optional apps that are being installed, because some of the programs are adware and potentially unwanted applications. Now your MAC system should be free of the hijacker infection responsible for redirecting user searches to Search.flagbeg.com. We suggest that you keep AdGuard (to help you block unwanted pop-up ads and unwanted harmful web-sites) and MalwareBytes AntiMalware (MBAM) (to periodically scan your MAC system for new malware, browser hijackers and ad supported software). Make sure that you have all the Critical Updates recommended for Mac OS. Without regular updates you WILL NOT be protected when new hijacker infections, harmful programs and adware are released. If you are still having problems while trying to get rid of Search.flagbeg.com startpage from your internet browser, then ask for help in our Spyware/Malware removal forum.